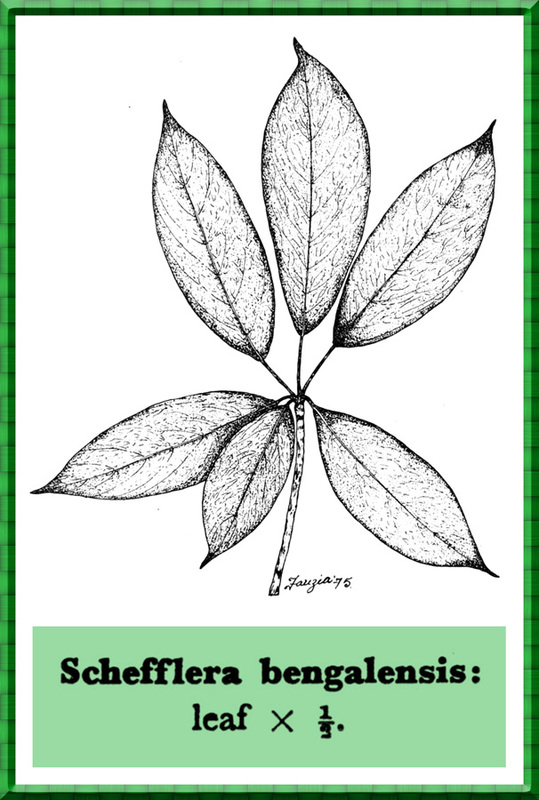 Schefflera Forst., Char. Gen. 45.t.23. 1776. Bailey, Stand. Cyclop. Hort. 6:3108. 1917; Hutch., Gen. Flow. Pl. 2:69.1967. (nom.cons.). The genus has c. 125 species distributed in Asia and tropical Australia. Represented here by 1 species.